The world’s newest street paper is changing lives in Colorado Springs. January 1 marked the launch of the Colorado Springs Echo, a street paper spearheaded by Raven Canon. After a year of hard work, dedication, networking, and fundraising, Canon published the first installment of the Echo, printing 3,000 copies of the paper. The Empowerment Plan began as a challenge in a college classroom. Now it is a nonprofit that manufactures coats for the homeless—and employs the formerly homeless to do so. 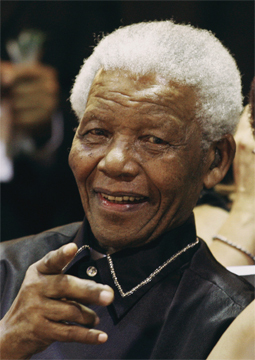 For Nelson Mandela’s 94th birthday yesterday, The Big Issue vendors — past and present — shared their memories of Madiba and reflected on his achievements and his impact on their lives. The Big Issue is South Africa's street paper.